YesterYear in Print There are over 600 historical newspaper articles about Kosciusko County and a wonderful Civil War diary to read. 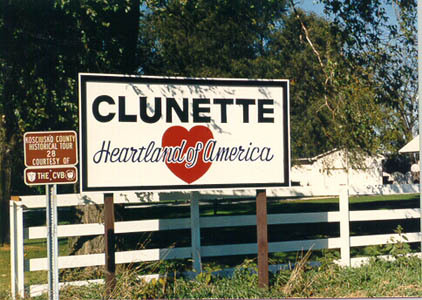 Clunette Elevator In business for over 50 years, the Clunette Elevator has established a mutually beneficial partnership with local farmers. Kosciusko Co. Genealogy One of the finest FREE genealogy web sites in the state and perhaps in the nation. Clunette Cemetery A listing of persons buried in this cemetery that is no longer used, but well-maintained. United Methodist Church A small country church ready to welcome all who come to worship.